Stacy Horn » Blog Archive » Do Buddhist monks chant? Apparently they do, but the Buddha worried as much as the Catholic church that people would fall in love too much with the sound. So I’m heading up to the library today. As anyone who follows this blog knows, library days are my favorite days. 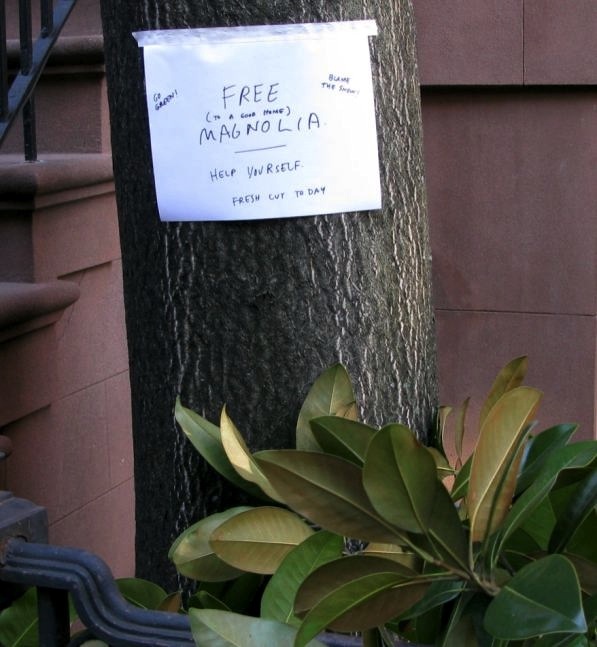 In case you can’t read the sign it says: Free (To a good home) Magnolia. Help Yourself, Fresh cut today, go green, blame the snow.